As a hostess it's pretty common for me to stay a few days with my crew in a certain place before flying back home so I'll share my last stay in Bangkok with you guys. Bangkok is always crazy but I always love being there because of the kind people, the good food and the great shopping. 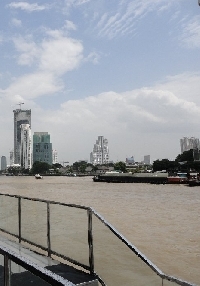 What I would suggest doing while on a holiday in Bangkok depends a little bit on the time you have to spend there but at least go for a boat tour on the Chao Phraya River from where you can get a great look at some of the most beautiful temples in Bangkok like Wat Aruna and the Grand Palace. 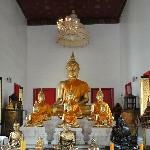 This last temple complex definately is worth a visit if you´re staying for at least a few days just like Wat Pho, bacpkackers walhalla Khao San Road and if you ask me modern Siam Square for all the great shopping malls. 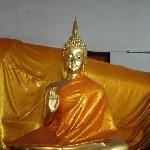 Did you enjoy Bangkok Boat Tour and have you been on a holiday in Bangkok, Thailand? 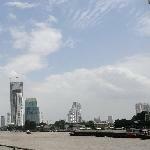 Where to stay in Bangkok: Hotel for the crew members of the company I work for..
Where to eat in Bangkok: Siam Square, but everywhere you think you like what they serve is a good place to eat in Bangkok!